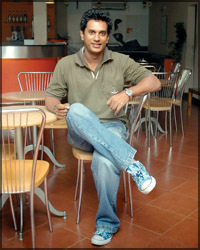 Roshan Pilapitiya is no stranger to Sri Lankan moviegoers. With a career spanning eight years and embodying the capacity to portray diverse roles the young actor had won much fame. Daily News Projector met Roshan to discuss about his recent movies and what is new and happening in his life. * What are you working on these days? I am acting in a teledrama done by Marco. It has not been given a name yet. We have concluded shooting Dharmasena Pathiraja’s Kampitha Vila. * There is a trend of remaking old movie hits. Comment? Too much of anything is good for nothing. That is the problem Sri Lanka is facing today. If this is done continuously people will start rejecting it. * In Neil Rupasinghe’s remake of Hatara Denama Soorayo, you portray the role acted by Vijaya Kumaratunge in the first version. Did you find it a challenge to match up to his acting skills? Vijaya Kumaratunge is one of our most skilled artistes of the past. If we try to imitate him it would be as good as insulting him. When we signed the agreement of the film there was an understanding that we were not required to fill in the shoes of the past artistes. We did it as a new creation giving it our own individual touch. I believe that was what made it a success. * Directors nowadays are also keen to engage foreign actors in their creations. How do you see this? Any country has a policy and an Actors’ Guild. They have to get permission to take part in a creation. In most cases these artistes visit the island for a holiday and get the opportunity to take part in a film or teledrama. They profit from these creations and return home. We have good technicians in our country. Some of our cameramen have won international recognition but we have begun to borrow cameramen from other countries. The biggest crisis is that most of our construction companies are importing labourers from Korea, India and Pakistan. The authorities need to look into this matter especially because there are many unemployed youths in the society. * If you are given an opportunity to act opposite any actor of your choice who would you choose? My favourite actor is Johnny Depp and my favourite actress is Charlize Theron but it depends on the script and the characters. Each and every character does not suit an actor. * Lately we see you paired more and more often on screen with your off screen girlfriend, Chathurika Peries. Our first film together is Hathara Denama Soorayo. We have acted opposite each other in only three teledramas so far (smiles). I think it is because those creations were successful and popular that people have developed this idea. * Tell us about your debut as a producer. We have completed work on Ahasata Tharu Aaderen, my maiden teledrama production. It is in line to be telecast on Rupavahini. It is a family oriented teledrama which explores the relationship between children and parents in modern society. * Any ideas on taking up the role of a director? No! (laughs) You need to dedicate a lot of time for acting. As time passes there is much to learn. You have to keep updating yourself. It is a career which you enjoy a lot. A director too needs to spare a lot of time in observing the field. It is a tough job. * What can you tell us about your newest film which is screening at theatres these days, Aadara Meena? Keerthi Bandara’s Aadara Meena is based on a Tamil girl’s journey from Jaffna to the South. It reflects how some people in the Sinhala community welcome her to their life. It is not purely a love story. It is a film with a difference. * What is your upcoming film? Senahasaka Sihinaya. It is a story revolving around the theme of rebirth. It will be released shortly. * Which do you prefer - cinema or teledramas? Many actors prefer the cinema but some admirable teledramas have also been created. Mega series have become popular today but this concept is not suitable for our country as we have a limited number of channels. A lot of creations are in queue and most people who have made teledramas are out of work. I hope they would limit this concept. * Is there any particular role which you would love to portray? There isn’t a specific role but most creations are very similar today. There is a lack of difference in the scripts. If new script writers with novel concepts join the scene maybe we would see a difference in the future. * When do you hope to tie the knot? Chathurika and I are planning to get married next year. In the recently concluded Bonjour 2008 Cinema Festival ( La Journee de la Francophonie) organised by the Belgium Consulate, High Commission of Canada, Embassy of France, Embassy of Romania and Embassy of Switzerland, a few outstanding films from France, Romania, Canada, Switzerland and Belgium were shown. The aim of this annual event “is to offer the Sri Lankan public a collection of films that represent the richness and the diversity of the cinema industries of the French speaking countries represented in Sri Lanka. This festival is also aiming to become a platform for exchange of knowledge and a place for dialogue on cinematographic topics between professionals and moviegoers in Sri Lanka.”. The lively and affable Isabelle and Nayana Ganeshan and other friendly ladies of the French Embassy invited me for a four-day workshop on film criticism. The other distinguished personalities included the knowledgeable filmmaker and writer Tissa Abeysekera, the versatile actor Sanath Gunathilaka, film author Piyasiri Naghawatta, a few journalists, a team of students from the College of Journalism, young U.S. trained cinematographer, Ilango Ramanathan, an academic from the University and Jude Ratnam who is interested in making documentary films and others. One of the participants was writer, poet and artiste Buddhadasa Galappathi. The French cinema critic Jean Philipe Tesse spoke of the fundamentals of film criticism, the style and mode of film theories from the 1950s and the gradual changes in film making in France with reference to three films shown at the festival, namely ‘The Ceremony’, ‘The Barbarian Invasions’ and ‘4 Months, 3 Weeks and 2 Days’. He analysed these films, accepting and debating the analysis by the students. Understandably here were varied interpretations of the films discussed. Les Invasions Barbares bitterly. Many including myself agreed with him but one student, Muthulingam, felt that the story of the film was good. 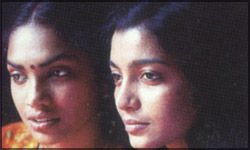 The Sinhala film Nidhanaya directed by Maestro Lester James Peiris, adapted from a short story by the Sinhala writer, G.B. Senanayaka, was also screened. I liked the Romanian film and the French film, ‘The Ceremony’, more than the other films. Last week I gave my appreciation of this film on this column. Since I had already given my impressions of the Romanian film, ‘4 Months, 3 Weeks and 2 Days’ earlier after visiting the IFFI at Goa in last year, I shall now give some information about its director. He was present at the IFFI in India. The name of the Romanian director is Cristian Mungiu (40). He studied English Literature and spoke in elegant English at the press conference. At the key female star, Anamaria Marinca, was also present. Mungiu learnt film directing at the Bucharest film University. He was a teacher and media personality until 1994. 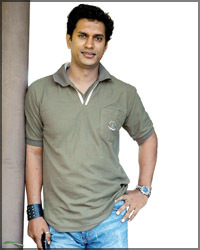 He made several short films beginning from 1998. His first feature film was Occident in 2002. His film is about a woman sacrificing her time for a roommate’s abortion. This is an amazing study of character and making of a film with several undertones. We also learnt that the director’s brother is apolitical analyst in Romania. The Women and Media Collective have organised a Film Festival to celebrate International Women’s Day. The following movies will be screened and discussed at the Russian Cultural Centre at 3 p.m. and 6 p.m. In Buenos Aires, 30 unemployed auto-parts workers walk into their idle factory, roll out sleeping mats and refuse to leave. All they want is to re-start the silent machines. This story of the workers’ struggle is set against the dramatic backdrop of a crucial presidential election in Argentina. What shines through in the film is the simple drama of workers’ lives and their struggle: the demand for dignity and the searing injustice of dignity denied. Provoked is the true story of a battered wife who fought back, first against her husband, then against the system. Full of optimism and affection, newlywed Kiranjit (Aishwarya Rai) arrives at the doorstep of her new home with husband Deepak (Naveen Andrews). But the drunken Deepak beats her repeatedly for 10 years, forcing her into a desperate act that kills Deepak. Convicted of murder she is sentenced to life in prison. Radha (Nandita Das) an activist with the Southall Black Sisters, takes up Kiranjit’s case and wins the case in a High Court changing the fate of battered women forever. Sancharam, is the story of two young women, Kiran and Delilah, living in rural Kerala, whose friendship continues into adulthood, despite the fact that they are polar opposites. The story changes one night, when Kiran comes to terms with her changing feelings for Delilah. Uncomfortable with her physical desire for Delilah, Kiran agrees to help Rajan, a neighbouring boy, in his scheme to win Delilah for himself. Delilah is unconvinced by Rajan’s efforts, and through a strange circumstance, discovers Kiran’s feelings for her.